India is a country full of wonders, good-sometimes, and crazy other times. The recent incident that took place in Uttar Pradesh is a stud proof for this. 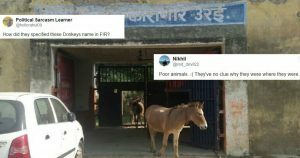 This happened in Jalaun district, where a herd of eight donkeys was allowed to walk free after four days on confinement. The incident happened at the Urail jail, where the eight donkeys had been in lock-up for 4 days. They faced such punishment for destroying expensive plants which the senior officer of the jail had arranged for planting inside the jail. Next, to the incident, a local politician intervened and insisted on their release, twitterati could soon be seen tweeting their minds on the social media. 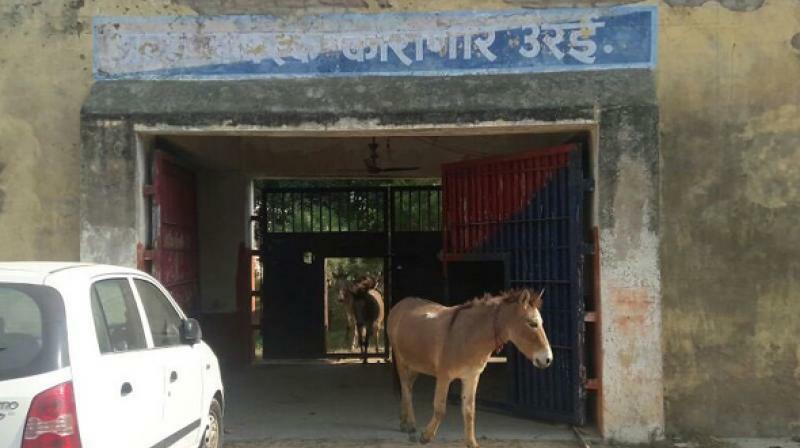 “These donkeys had destroyed some very expensive plants which our senior officer had arranged for planting inside the jail and despite warnings, the owner let loose his animals here so we detained the donkeys,” Urai jail head constable RK Mishra said. Poor animals. 🙁 They’ve no clue why they were where they were. How did they specified these Donkeys name in FIR? After facing the denial, he rushed to local BJP leader Shakti Gahoi for help. The BJP leader accompanied Kamlesh to the prison and secured the release of the donkeys after some hectic process and requests.